2016 U-Turn Terminator Bulk Candy Vending Machines for Sale in Texas!!! 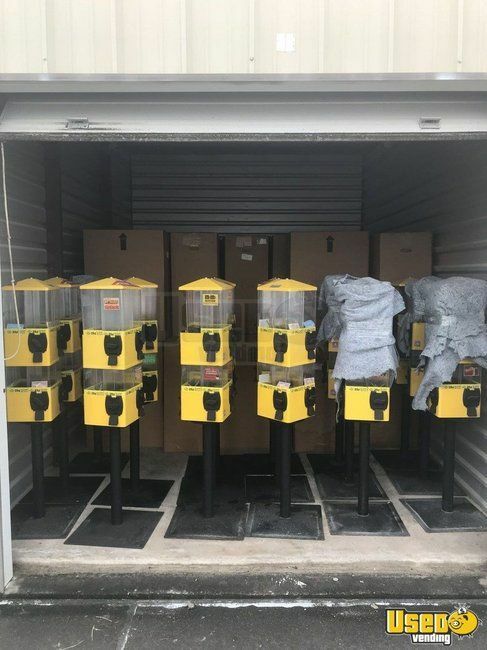 For sale in Texas- here are (10) 2016 U-Turn Terminator 8 selection bulk candy vending machines- new, like new, & very good condition. 80 bulk candy heads, 8 stands. -Must purchase all at this super low price. 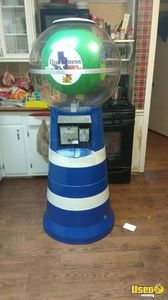 Giant 6 Ft Spiral Gumball Vending Machine for Sale in Texas!!! 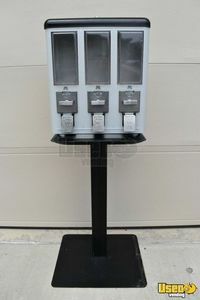 For sale in Texas- this is a giant 6' spiral gumball vending machine in very good condition. Manufactured 2000. 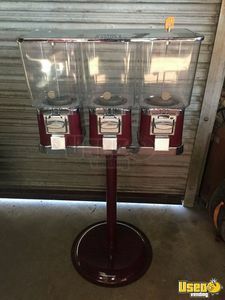 Wowie Zowie Arcade Bulk Gumball Vending Machine for Sale in Texas! 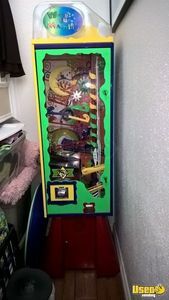 For sale in Texas- this is an interactive Wowie Zowie arcade vending machine by Wacky Fun Factory. Very good condition, see details. We have had the opportunity to buy with the help of Denise. This is at least the fourth time we go through her. What a highly professional on making sure all process is done correctly and both parties are satisfied with the transaction. The customer service and support I received from UsedVending.com was exceptional. The customer service and support I received from Usedvending.com was exceptional. Denise was friendly, detailed, and persistent throughout the advertising period and the transaction. 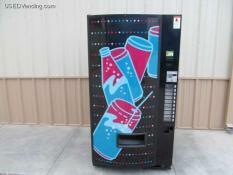 I highly recommend UsedVending.com to sell or buy your vending machine. Thanks for making the process smooth and easy for everyone! You have done a great job and facilitated all things in a timely manner. 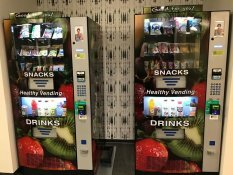 Hi Denise, I appreciate the excellent support provided to us on the last two business transactions made between UsedVending and I. You have done a great job and facilitated all things in a timely manner. I am very satisfied with your assistance prior, during and after the two processes we have made with you during the last 10 days. Thank you Denise. We will continue monitoring the advertising of your web page. Have a good day!! 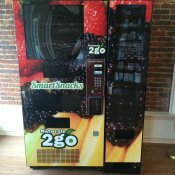 I am extremely happy with UsedVending.com after my experience of listing and sell of my used vending machine. Denise, my UsedVending representative, was constantly and consistently checking with me through the process to the point when the final transaction took place it went as smooth as can be. Thank you Denise and thank you to all of the Used Vending team. I have dealt with Grey on two different occasions and he's always come through for me.He has sold a machine for me and I am currently buying a machine. Thanks Grey! Used Vending was fantastic! 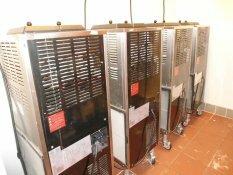 I was able to sell my machines at a fair price in a relatively short period of time. Used Vending was fantastic! I was able to sell my machines at a fair price in a relatively short period of time. The customer service was excellent and the lady I spoke with offered me some excellent advice about setting a price on my machines that would enable me to sell them quickly while still getting a reasonable amount for them. I highly recommend this service! Keep up the great work, look to hear from you soon. It have been great working with April Hurd for the last years. Keep up the great work, look to hear from you soon. Hi Calice, Thank you for your help in getting us a nice deal on some good used snack and soda combo machines. The transaction was very smooth. It was great doing business with you! Your company was terrific, and Amanda Haynes was a huge help. It was great doing business with you! Thanks Gini for helping to fill our soda void! Thanks Gini for helping to fill our soda void! You found us very nice vendors who catered to our needs and made the process very easy. I know that if we need something in the future you will be the first person I call! I have been working with 4Mega for a few years now and would like to say that working with Gini is a real pleasure! She is very professional, knows her trade and easy to work with.I would highly recommend 4Mega to any other vendor in the field! "Thanks" Mr. Stacy Sweet for helping me negotiate on "5" machines I needed for my company. I have been self-employed for over 30 years with many miles of business transactions and deals. Mr. Sweet made this transaction so smooth, flawless, and professional. One of the smoothest transacion EVER in my history of self-employment! Thanks again Stacy and I look forward toward our next deal! Usedvending.com is now my "go-to"
I presented my situation to Tara and she came through like a champ! She help me find my machines, Tara went above and beyond the call of duty to help out. Used vending is lucky to have an employee who cares that much and is willing to go the extra mile for excellent customer satisfaction. Will be buying more this year! The process was easy and April did a great job of facilitating the deal. My buyer was nearby and the even the process of delivering the machines was much less of a hassle than I could have imagined. Yippeee!! That is the last batch of those confounded machines. Thanks, Mr. Stacy Sweet, for the great combo machine account! The leads and accounts that you & Vanessa have turned me on to has almost wiped out my stock pile of equipment in my warehouse, and that's a wonderful thing! I look forward to each & every transaction with you and 4 Mega, you guys make it so unbelieveably easy! Thanks again! I want to thank Melissa Powers for her prompt response and hassle free procedures in handling my recent BBQ concession trailer purchase. Negotiating started on May 17th and I brought the unit home on May 29th. The unit was even more stunning than the online pics. Whether you a buyer or seller on you next deal, I strongly recommend usedvending.com and Melissa Powers. Hey there! Just wanted to say thanks for being such professionals on the phone & behind the scene! Vanessa did such an awesome job in securing an account for us here in Dallas & the set up and transaction was 100% seamless! Thanks so much & we're looking forward to purchasing more locations through Vanessa and 4Mega Vending! You have our business for good! April did a great job for us. I had no knowledge of ordering a vending machine, and she made it so easy! The price was great, the service was amazing and we had a great vending machine in a few days! Thanks, April! You have our business for good! I would like to thank Vanessa for all her efforts and due diligence in seeking out a quality vendor for our company. I have had no success on my own locating vending company's that can support our small company needs. I was at a point of giving up when I found and contacted 4Mega Vending. My search was over. Vanessa took over and began searching for me. Vanessa was always their for me explaining the process and working very hard to find vendors. The calls came in. It was great. My labor intensive project just became easy. Due to Vanessa, I believe I have found an excellent, quality, vendor. I am excited about our choice. Vanessa made my search very easy, smooth and pleasant. I just cannot say enough about Vanessa. My experience has been exceptional. I have dealt with many companies and many individuals during my career and Vanessa knows what customer service means. I highly recommend 4 Mega Vending to anyone who is looking for assistance in locating vending services. Wish I had known about Used Vending BEFORE I got involved with vending. Melissa has assisted me in selling 3 machines now, and does whatever is required to negotiate the deal. She is very knowledgeable of the industry, and up front about the current environment. She initially spent quite of bit of time educating me about the process and prospects. What a great forum for bringing vending buyers and sellers together. Thanks for all your help so far! April Hurd is a fantastic person to deal with. She is professional, courteous, friendly, and will do what ever it takes to help someone that is trying to buy a vending machine. I will spread the word about the excellent service April and 4 Mega have given to me. Keep up the good work April! 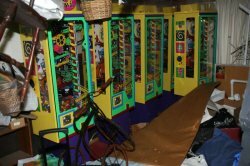 I had some used vending machines I had been trying to sell for a couple of years. Melissa did a great job not only finding a buyer, but facilitating the whole transaction. When I ran into a big problem at the time of the sale, Melissa took care of it for me immediately. I had a great experience with Melissa and UsedVending.com and I would encourage anyone to give them a try. The staff at 4 mega vending Co.is wonderful especilly Ms.April Hurd.She was very professional and went above and beyond the callof duty. When i am ready to buy my next machine,it will definitely be with 4 mega vending. Contact Ms.April hurd,she will take care Good care of you. 4MEGA help me grow my vending business. Thanks a million. It only took 2 weeks from the first contact untill the sale went through! Thank you usedvending.com! The rep at usedvending.com was very professional and thorough. It only took 2 weeks from the first contact untill the sale went through! Thank you usedvending.com! I purchased an Antares combination (snack/soda) vending machine from USEDvending.com and was very pleased with the outcome. 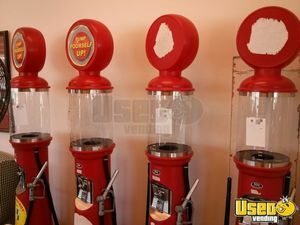 I had been searching for a combo machine for over a year when I received a solicitation email from USEDvending.com. I must admit, I was leary about dealing with a company of whom I had no reference. The price was very very reasonable. 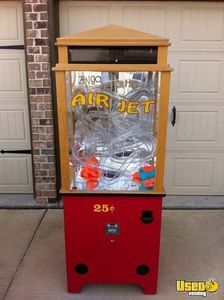 The machine was practically new and in great condition. Since I've had the machine I haven't had any problems with it and am very happy with my selection of distributors. 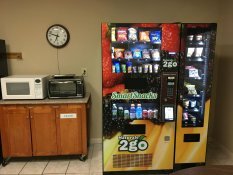 I would DEFINITELY recommend USEDvending.com for your source of vending equipment. April, Thanks for your help with my recent purchase. Getting a follow up call from a website!! What a pleasant, unexpected phone call. Definitely a first! I look to deal with businesses who enjoy giving Positively Outrageous Service as much as I do in mine. I just want to thank you for guiding me in this new adventure. I will recommend 4Mega Vending to any vendor. They walk you through all the information you need to know to get familiar with the vending machines; from your first call, up to sales, customer service and technical support, they will answer all your questions and will give you peace in mind. I had a freight damaged machine when it was delivered, but they took care of it right away. Thanks again for your great service. We had a positive experience in dealing with both Melissa and Cheryl at Used Vending while selling our hotdog cart. 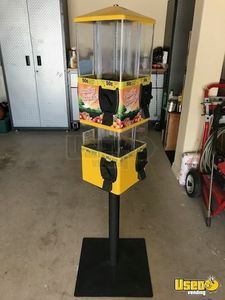 We had placed our cart on craigs list and had not received any responses when I did some research and found Used Vending online. I first talked with Cheryl, who helped me with providing a write-up, pictures and made suggestions on the price. After not receiving any calls, I called Cheryl and asked for suggestions - we lowered the price and waited patiently. Not much longer and it was sold. It was great to let someone else deal with the customer and negotiate and all we had to do was show it and let them take it home. 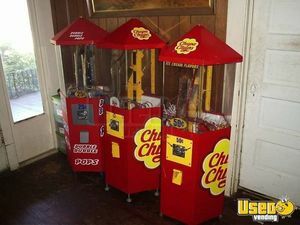 If there is a need to sell concession equipment in the future, we will definitely call Used Vending and specifically ask for Cheryl and/or Melissa. Eric, I wanted you to know that I was pleasantly surprised at how efficient your business was. 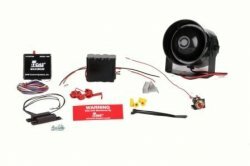 I received all the equipment I ordered on time and with no problems. As you know, one of the pieces was broken, and I really appreciated you sending me a replacement part rather than making me have to order a new one from a manufacturer. This was my first venture into ordering online (As you probably guessed by all the questions I was sending by e-mail) and the fact that you continued to reply promptly gave me a little more assurance about your company. I really did appreciate all the help and in the end, the very good service. By the way, I found you by accident. I was looking for used equipment, but it never entered my mind to use "USEDvending.com". Thus, I found you at the bottom of a very long list of sites on Yahoo. After hours of inquiring into each I almost gave up and then noticed you close to the bottom of the list. Maybe you should consider advertising through some one of the major on-line services. Anyway, thanks again. I am going to continue to grow my vending business, so I'll be in touch when I am ready to buy. If you need a reference, feel free to use my name. You have my phone number. My experience with Eric Normand has been nothing but good. Have had two separate transactions with Eric and both have gone quickly and as represented. Received both payments promptly by mail with a check and no problems.